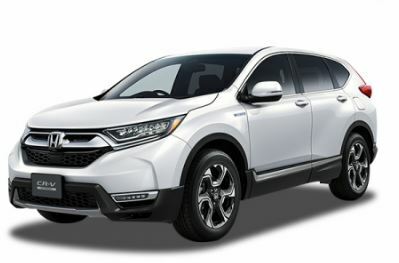 Introducing CR-V, Honda’s SUV vehicle. 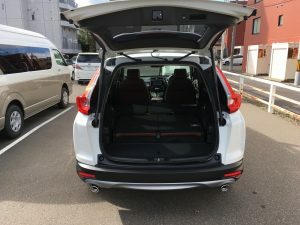 The latest model of CR-V is popular worldwide. Having spacious interior space and easy driving are reason of popularity. It is made spacious as large as possible, it will be making comfortable space for all passengers. The vehicle size is 460 cm(length)× 185 cm(width) × 169 cm(height). 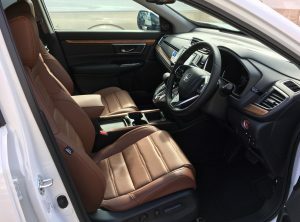 For using high-quality leather for interior, creates a luxurious and classy mood. 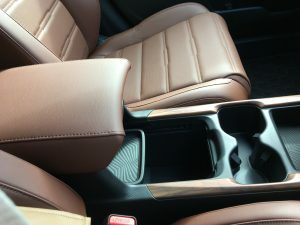 ※Synthetic leather is used some of parts. Dual Pinion Assist EPS function provides high maneuverability due to easy steering. 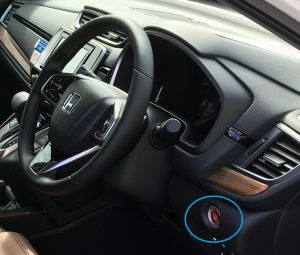 To start the vehicle's engine, step down on the brake while simultaneous pressing the push button on the right side of the steering wheel with the smart key inside of a car. 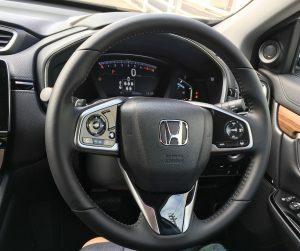 ※You can see the button inside the blue circle. When you start engine on winter season, please do it after off all of electric functions like air conditioning. Arrange console box as you like. Such as taking out the tray and placing it in a box or for placing your mobile phone. 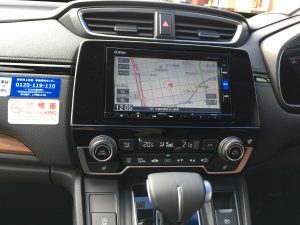 It has genuine car navigation system of HONDA. The switch allows the sunroof on the ceiling to be electrically opened/closed. The second row seat have spacious space as well. 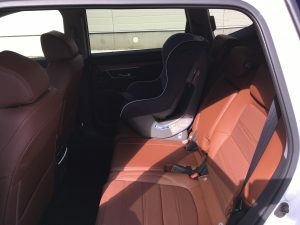 Even with installing child seat seems comfortable. You can arrange seats as you like. With a simple operation, folding/standing seats can be done with just one movement. When using third row seats, it will be good to folding second row seat up and making space for a wider ride. 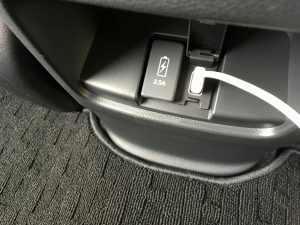 There are USB ports for passengers who sitting rear seat. It is very useful for charging your mobile phone that you will frequently use while traveling. 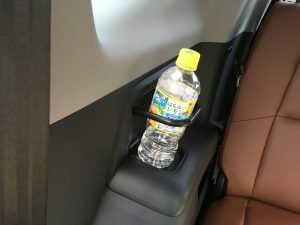 Moreover, there are drink holders for rear seat. 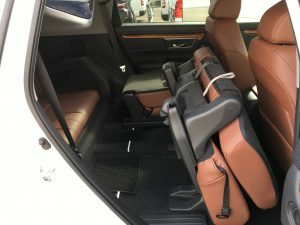 It would be comfortable space. 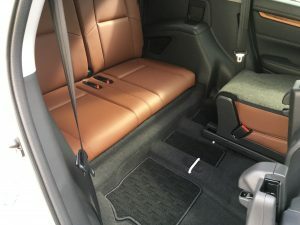 For driving with a small group, you can get a space for a lot of your luggage if you fold down rear seats. 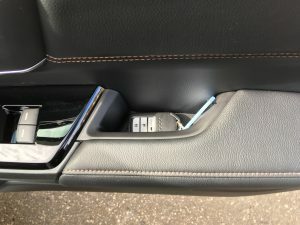 The key is in the door pocket on right side. Please keep it safe and do not get out of your car with the key left inside.